Interior design is the process of taking an new of existing space and transforming it into a new surrounding that is pleasing to the eye and hopefully with a good sense of practicality. Interior design is performed in a wide spectrum of buildings, from flats and fine houses, theatres, concert halls, banks, offices, restaurants, hotels, and churches. In some cases the architect of a building is also the interior designer, whereas in other cases an architect and an interior designer work in harmony on a project to ensure a unified approach. However, usually the interior designer works independently creating a decorative scheme for the space that complements the building's architecture. Light is an important interior design aspect. With lighting, you are able to appreciate colors and things around you. Plus, you can use lighting sources to create different effects. When doing your interior design, make sure to consider the ceiling height as well as the room dimensions when doing your selections. For instance, ensure that the wall lights and pendants provide effective light for your bedtime reading. Of course, pendant pendants are great at adding dimension as well as interests. However, you should remember that they don’t provide enough light you can use to apply your makeup. Thus, you can opt for vanity lights—they perfectly cast lighting that is appropriate for makeup application, face shaving, as well as eyebrow tweezing. Interior design is the heartbeat of any living space. Do it right and your home will be instantly updated. It defines the elegance of any living space. 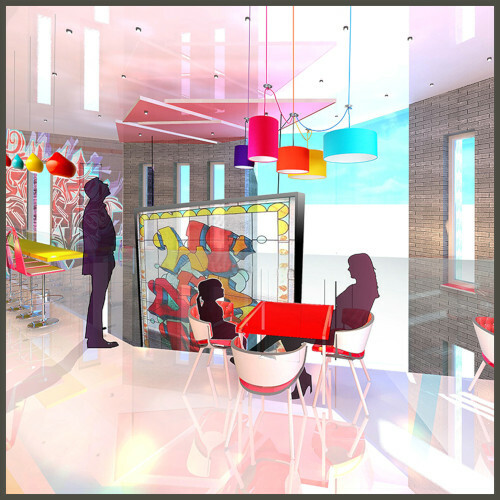 Interior design involves space planning, architecture, as well as furniture design. It portrays your style and taste. So, don’t just decorate your interiors. Do it in style. Inject more life into your home and let your décor do the talking. Artisanal lighting is the art of using hand-thrown based ceramics to add more texture and character to your interiors. For instance, you can get a table lamp—albeit in deep turquoise to make your space more elegant and cool. Then go ahead and complement this dramatic style with straight empire lampshades featuring orange silk. With this style, you have a type of lighting that has a calming as well as soothing effect. Want to enhance your interior space? Well, try attractive lighting. With lighting, you can achieve virtually anything—including making your interiors more lively. When designing your home’s interior, you’ll want to start by selecting your favorite style. This will create a unifying theme, which is both stylish and attractive. Whether you love casual, formal, modern, or traditional, you’ll always get something that compliments your personality. From there, you can proceed to pick a more specific style like Tuscan, Shabby chic, French country, or modern Victorian. Balance is another essential component of interior design. It involves the distribution of a room’s visual weight. You can either do it symmetrically (like in traditional interiors) or asymmetrically (like in casual interiors). Ensure each room has a focal point. In the living room, for instance, it could be a classic piece of art or the fireplace. Its unique scale, texture, and color should make it stand out. Contrast and diversity add visual interest to any space. Don’t forget about rhythm; keep repeating elements of the same pattern, texture, and color to create a unique progression of your personal style. Choosing the right color palette is an integral part of interior design. Whilst you could utilize a different color style in every room, you’ll always want to tie the entire space together. Just for a large room, you should strive to incorporate the right colors and patterns for smaller rooms. Lighting is an interior design staple—playing an important role as far as the mood of any living space is concerned. It makes a room spacious. Plus, when combined perfectly with other colors, natural light, and furniture—they can create a stunning effect. With the right lighting, you can create a space with seamless functionality and style. Mixing different patterns in your home décor is an advanced element of interior design. It isn’t necessary that all patterns match, but they should at least compliment and coordinate perfectly with each other. From your home’s entrance to the home office, you’ll want to include classic pieces. Explore the basics of decorating your living room and add the right finishing touches to create a true reflection of your taste and personality. Furnishings are an important aspect of decorating, but you need to know exactly what items you need to avoid splurging huge amounts of money on unnecessary pieces. Looking for a quick way to transform your home’s interior décor? Well, we’ve got you covered. Here, you’ll get to learn some of the most practical interior design tricks. You may just need to add some small things to create a lasting impression in your home. It could be the inclusion of a mirror, a lamp, or a painting. If you want to soften your walls, add a class, or brighten your living space, consider following these clever design tips. Rooms should be painted in softer and lighter color as this makes them feel larger. A small living room has the tendency to appear cramped, but the light-colored walls, large walls, plus the use of mirrors provides the optical illusion of your space, making it look bigger than it actually is. Darker colors will actually make your room feel much smaller. In rooms where there’s a little amount of natural light, place mirrors in front of the windows to add instant light. 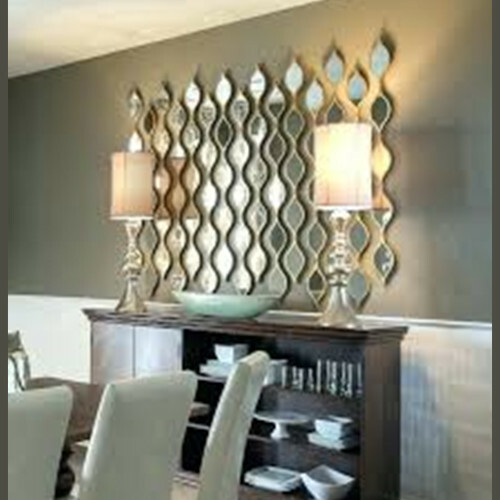 Large or small, decorative mirrors brighten up your living space while adding some dimension to it. In lieu of art, mirrors can also be used to fill empty wall spaces. It isn’t bad to place family heirlooms beside your modern couch. The most important thing about your home’s décor is that it reflects your personality and style. The ancient Chippendale desk that once belonged to your grandfather tells a story about your past. And the modern couch you love so much tells a story about your present. So, there’s no way these two pieces can’t blend beautifully together. The same applies paintings. There isn’t any reason why a Monet can’t be in the same room with a painting made by Salvador Dali. With fabrics such as furniture, pillows, and rugs, varied colors as well as patterns can stylishness into your living space. Your home needs unique accessories. Instead of rushing to the store every time you want to decorate, check out what you already have. You can place metal, silver, trays, wooden, and acrylic on top of tea carts, coffee tables, and luggage racks for extra texture. You can then pile books or arrange candles on top of them. Plus, you can hang plates to create brilliant art. You’ll be surprised to see what small things can do for your home. Also, take Advantage of Decorative Lighting. Apart from task, ambient, and accent lighting, there’s also another very important type of lighting you shouldn’t forget when doing your interior layering. Decorative lighting. decorative lighting, which is usually defined as that light that helps space look nicer, can be in the form of nice crystal-based chandeliers or even quirky art like deco table lamps. So, if you want those interior spaces of light to shine, consider sparkling some nice statement lamps. Natural Light Is Important Natural light is important to any interior space. Therefore, when designing your layers, consider how you are going to supply your rooms with sufficient natural lighting. If your outside is characterized by large bay windows or big trees, think of a way you can get more natural light into your interiors. When layering your lighting, consider only using lamps. Lamps work perfectly for all interior spaces. Plus, you can use lamps for all types of lights. For instance, you can count on floor lamps to provide you with ambient lighting, task lighting, as well as accent lighting (if you place them under an architectural feature). The best part—lamps (table, desk, and floor lamps) are movable. This means that you can move them around, which provides great flexibility in any lighting design. So, how do you create your interior design plan? Light is a powerful aspect of any interior space. It creates a great feeling and enhances the overall mood. Plus, light is perceived differently. That’s why it’s good to have an interior design lighting plan that suits your needs and preferences. Whether you are designing a new room or remodeling an old space, it’s important to ask yourself the amount of light you will need. For instance, the kitchen needs more light. Thus, in your lighting plan, incorporate more recessed lights---either switched together or separately. Plus, the kitchen needs dimmers for more control. Also, you can consider installing a separate light over the sink. And if you have an island or seating peninsula in your kitchen layout you want to highlight, consider going for decorative pendants. 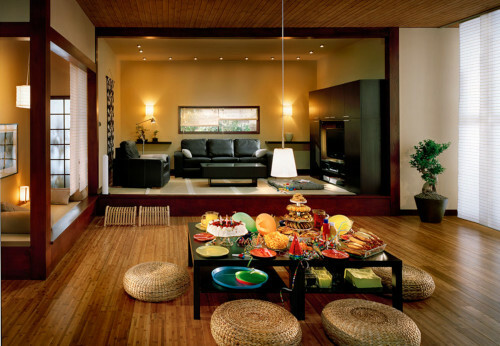 With pendants, you can add more color, design flexibility, as well as more excitement. The amount of lights required for different rooms isn’t the same. For instance, you cannot take the full-coverage kitchen lighting onto the dining room. 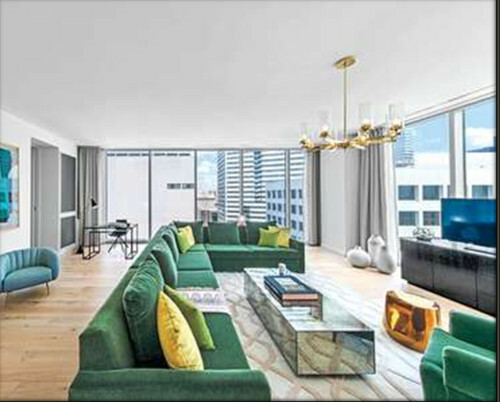 Rarely do designers recommend the use of overhead lighting in living rooms. Most of them rely on lamps—they provide a soft, indirect type of lighting. Plus, if you have a piece of art you want to feature, consider going for recessed swivel fixtures. Even more, you should know your furniture arrangements. It can help nail the perfect lighting selection for your space. So, know the types of art, furniture, and accessories you have. It will help you figure out the type of lighting you need. It’s also important to know where you are going to do your reading. For more elegance, install a big chandelier in the living room. Now that you have determined the types of lights you need for different spaces, you need to determine where you are going to install the switches. With 3-way switches, you are able to switch on and off the lights from two locations. So, when purchasing your lighting fixtures, it’s also important to determine the types of witches that suits your preferences and the locations where they are going to be installed. Interior lighting is an important aspect for any home. Do it wrong and your interiors will look gloomy. That’s why it’s extremely important to buy quality fixtures from a company with the right experience if you want to take your interior design experience to the next level. With an experienced company like Classical Chandeliers, you can rest assured that your interior design plan will be implemented to the letter. Plus, you can rely on us for helpful tips on how you can design your interiors like a pro. Your kitchen should be warm and inviting. Everyone loves to spend their time in the kitchen; be it for meal preparation, dining, or entertaining. 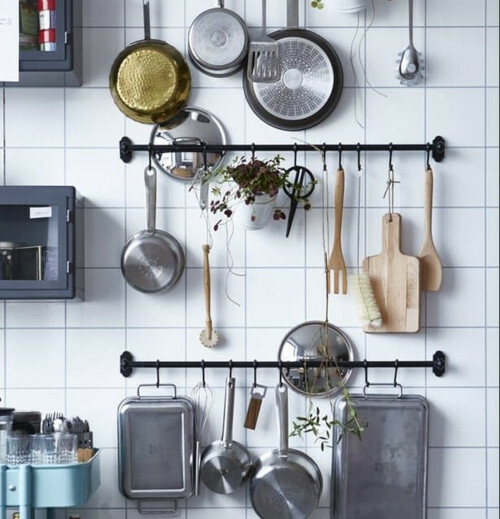 Hanging a pot rack brings more elegance and sophistication. 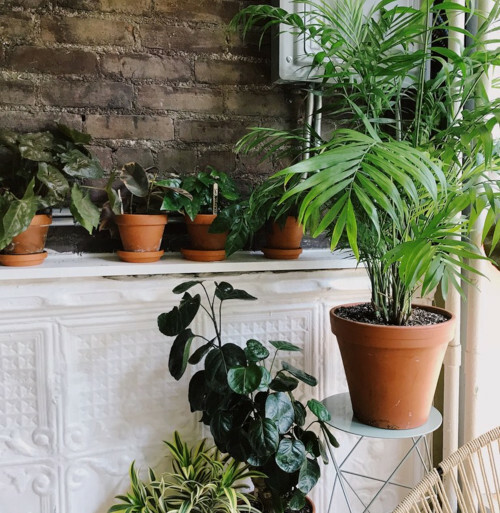 Adding plants to your space is a wonderful idea. Plants are an affordable way to accessorize your home and add color as well as texture. Aside from being beautiful, plants play an important role in cleaning household air and balancing humidity. They absorb pollutants and eliminate harmful gases from the air. So, what else are you waiting for? 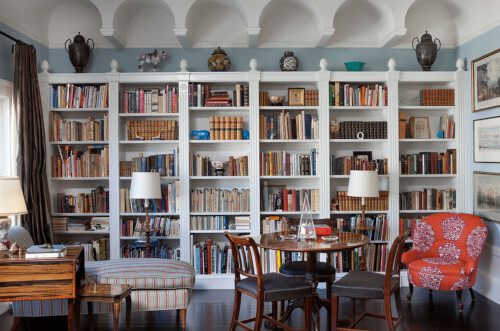 Adding a pop of color will revamp your bookcases giving it an instant boost. It’s really amazing how such a simple coat of paint can re-energize and transform your living room. Painting somewhere unexpected is perhaps the simplest and most affordable way to renovate a boring space, converting it into a gathering zone. Bookcases are a perfect place to start since you only need to decorate a small area. Other fun places you can consider adding some color include painting hallways, ceilings, fireplace mantels, as well as closets. The lighting sphere is witnessing a revolution—thanks to the advancement in technology. With modern lighting, you can highlight any internal space feature and achieve the sophistication you need. Even more, lighting up all the spaces—including those considered the smallest ones can yield tremendous results. With lighting, you can achieve a variety of styles---helping blend different items into your décor and achieve the sophistication you need. Plus, with lighting, you can make items located in the darkest cabinet more accessible. Multiple Shapes as well as Sizes To achieve multiple shapes as well as colors, make use of the under cabinet lights. Consider going for longer and box-shaped lights. They help brighten cabinets. On the other hand, round lights can help make drawers more visible. With different styles as well as accessories on the market today, you can be sure of finding something that suits your needs. With the advancement in technology, you can get lighting fixtures that are easy to install and replace. Plus, most lighting fixtures come with installation instructions to make your work easy. With easy instructions, you can effortlessly install, replace, or maintain your lighting fixtures. With under the cabinet lighting, you are able to enhance your cabinets and drawers. This makes it easy to find those belongings of yours effortlessly. Plus, you can consider installing motion sensors. They are effective in conserving energy since the lights will be on when your presence is sensed. This saves you time that would’ve been spent looking for the buttons and knobs in the dark. •	Portable – such as table lamps, floor lamps, as well as torchieres. Lighting is a mood booster. It makes a room useful and improves overall productivity. According to experts, if you want to achieve the right mood, consider using all the 3 types of lighting. Triangle patterns are quickly gaining popularity and finding their way into interior design sphere. They make a space look more classic and lively. With a triangle pattern, you have a lighting solution that is sophisticated and can uplift your interiors into an incredible space. For instance, you can place lamps on a console table (i.e. behind the sofa as well as on the end table). The trick with the triangle pattern is to go creative. Just express yourself and search for different ways of creating elegant triangle patters. Dimers are some of the most essential lighting fixtures you should seriously consider if you want to add flexibility into your interior lighting solution. With dimmers, you are able to fine-tune the brightness level you want. Even more, they help conserve energy as well as extend bulb life. One of the best ways to maximize task lighting is by adding tracks. Direct multiple lamps for accent, task, as well as general use. Consider Creating a Clean Look Recessed can lights are versatile. They can be used in virtually every room. 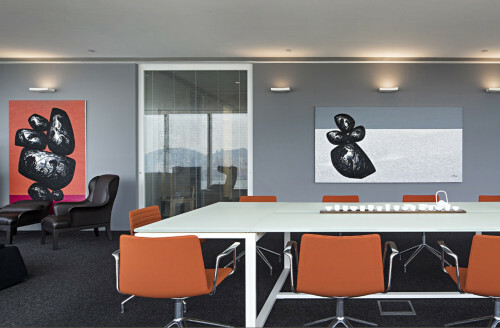 They are low-profile and can be integrated into ceilings to create a clean look. Also, if you can take recessed lights into the attic space, that'll be great. In fact, you can add recessed lights anywhere in the room for full coverage. Plus, recessed lighting is flexible when used with dimmer based switches as well as accent lighting. Good lighting sets the right tone and creates uniqueness in a room. What’s more important is to understand the room’s function and then apply suitable fixtures to ensure tasks are done smoothly. For instance, a laundry or utility space will work perfectly with glare-free compact fluorescent, while the study room will require task lighting. The kitchen, dining, and living rooms need to have numerous lighting circuits, perhaps a combination of LED spots, LED under-cupboard task lights, as well as low-level floor washers. Nothing spoils a romantic dinner quite faster like glaring lights. Lanterns or candles cast a soft flicker that plays to our moods, creating the right mood and atmosphere for eating and partying. On the contrary, a home office needs to be well-lit for reading and writing purposes. Before installing any lighting fixtures in your home, take into consideration the room’s function and aesthetics. A bedroom might only need layered table lamps to function properly, whilst a kitchen island demands task lighting for carrying out daily chores safely and making the room friendly and exciting. Of course, natural light has got so much to offer in terms of brightening up your space, but you need to incorporate other lighting fixtures to achieve a flawless look. Rooms with plenty of windows or French doors tend to feel more stylish and inviting. A large skylight placed over the dining table or in your bedroom allows sufficient natural light to enter, and this makes your visitor’s spirits to go up. A glass-block window installed in the shower or bathtub casts beautiful sunshine but also protects our privacy. You can also squeeze a sizeable window on your bathroom’s stair landing to transform what was a boring throwaway area into an attractive space. Leveraging the benefits of both natural as well as artificial light is an incredible way to achieve a happy medium. Interior designers usually plan to light in technical terms using certain mathematical equations to realize the best results. If you are renovating, don’t miss the chance to make the necessary improvements. Most of the activities go down in the table room. Therefore, important to think of how to make it stunning, more stylish, and comfortable. And the best way to make it more accent is by applying some overhead lighting. For instance, getting a pendant or a chandelier can do really well in this area. Then don’t let the total wattage exceed 100. After fixing the centerpiece, let indirect lighting take care of the rest of your space. You have given your table bright attention. Well, now it’s time to give the remaining space a pleasant shine with scones and a small table lamp. The power of overhead lighting cannot be underestimated in the kitchen. This is where you do your cooking. So, you probably need maximum attention as well as focus. Plus, if you feel that overhead lighting isn’t enough in this region, try adding lower sources that can help light up the working area. For instance, think of under-cabinet lights or even some nice pendants. Create a super relaxing atmosphere in the bedroom with a reading lamp and sconces nicely placed beside your bed. Plus, you can think in terms of recessed lights. However, ensure that they point away from the bed and are closer to where you dress. And if you are looking to create that real sensual atmosphere, go for candlelight. Alternatively, you can employ small table lamps—but they should have low-wattage bulbs. You have an average bathroom and you want it to look more stunning? Well, here is a solution. Sidelights! With sidelights, you have unlimited ways to make the bathroom elegant and classic. Install sidelights—it will give you the perfect light for applying makeup. Plus, complement them with overhead lighting—they help illuminate the whole space. Want to give inject some freshness into your home without undertaking a complete refurbishment? Then check out the following design tricks. Lower the artwork. Most often people hang them too high but placing them at the eye level increases their visibility and adds more class. Nonetheless, you shouldn’t hang them on every wall; you can just cluster your art in one spot instead of spreading it out. With a proper lighting scheme, any living room can feel pleasant and comfortable. In today’s tech-driven there are countless lighting options, which makes it difficult to pick the perfect fixture. That’s why you should consider categorizing the type of lighting you need into task, ambient, and accent. This will make it simpler for you to make your choices. Install good lighting Having a combination of various lighting options can help you set the right mood for your home. Task lights are what you need to read, draw, cook, or even pick clothes. There always dark areas in a home that don’t receive enough natural light or at times it could be the design that just makes them feel boring. When adding illumination to your interior, it’s essential that you identify these dark spots. Find out the source of the dull impression-is it inadequate lighting or just the poor choice of color? Once you know exactly where the problem is, go ahead and install the perfect lighting scheme. Don’t just assume that lighting up the entire room will instantly create a dramatic effect. Interior design is more than illuminating an entire space- sometimes it’s about having various light sources. Consider layering the lights in order to achieve a perfect mix of various lighting types with different sources. Mix all kinds of shades and take your home’s décor to another new level. Looking for a way to give your space an instant uplift? Then you might want to try neutral colors like mushroom gray as well as espresso brown. Plus, you could try camel tan as well as other warm rust colors. You can never go wrong with the countless shades of white, brown, and tan. They’re extremely elegant and pleasant, especially when paired with classic wooden doors, wooden furniture, and wooden floors. The Dark Wardrobe Closets Need Your Attention Usually, the closet doesn’t get enough natural light—making it the darkest area the interior space. And many people feel that there is nothing they can do about the place. However, the good news is that there are plenty of options when it comes to lighting. 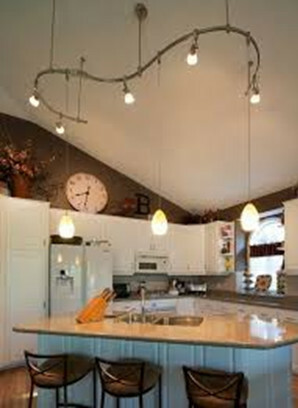 For instance, you can consider pendant lights and recessed lighting. They can perfectly work in this area. And the best way of multiplying this lighting is by adding mirrors that reflects it. It may not be that easy decorating your home interiors. But with these simple and effective tips, you can instantly transform your space into something beautiful. 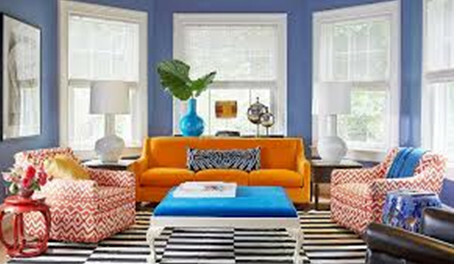 Living room: Create a focal point The most affordable way to renovate your living space is to highlight the corners. For instance, you could draw attention towards your television by decorating the cabinet and letting the other décor match finely with it. If you try this technique, you’ll be surprised at the wonders it can bring. Altering your old room’s lights can be extremely refreshing. Change the lighting scheme to give your bedroom an entirely new feel. Yellow/whites are ideal to make your room dreamy and elegant. Try installing LED (light emitting diode) lights or lamps on various corners of the room for a cozier atmosphere. Looking for a quick way to add a personal touch to your kitchen? Then consider a hanging a pinup board for sticking recipes, cool magnets, as well as photos. The idea is to create an attractive décor scheme for dull corners at no cost. No bathroom space will look great if the toiletries are lying around. Irrespective of how beautifully decorated, your bathroom will feel messy when things aren’t stored properly. Arrange for good storage to ensure that your essentials are neat and well-kept. Always strive to keep the area clean and simple. Doing this will transform your space into a relaxing retreat, perfect for spending quality time and having fun. Classical Chandeliers is an interior design hub. We have got a wide range of bespoke interior design solutions that embody our curiosity for new things, our fascination with new technology, and our total commitment to functional design. Get in touch with us and instantly inject more class into your interiors.